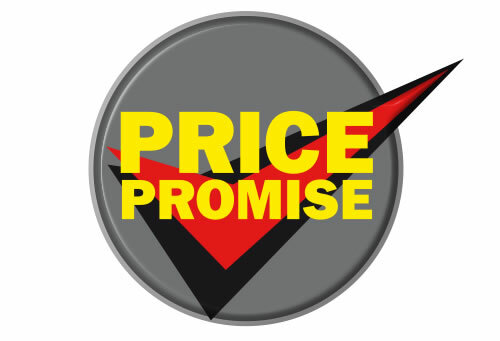 We're so confident our prices are the lowest that we promise to beat any competitor quotation. At National, we constantly check our competitor's prices to ensure that ours are always the lowest. Don't just take our word for it, check us out - savings at National are ALWAYS on offer. If you already have a cheaper quotation prior to coming to National - we'll beat it by at least £1 on the spot. (subject to the conditions below). If you have already made a purchase from National and have subsequently discovered that you could have purchased the same product cheaper elsewhere, simply send your invoice and a copy of the competitors written quotation to the address below and we'll send you a refund for the difference. (subject to the conditions below). Subject to production of a written quotation (on company headed paper). Price Promise Refund, National Tyres and Autocare, Regent House, Heaton Lane, Stockport, SK4 1BS.